Buying an Espace mk3 Initiale, engine suggestion. 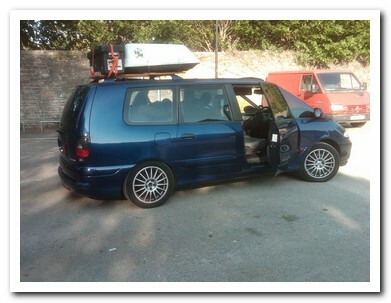 MatraSport Forum > Each model > Espace > Buying an Espace mk3 Initiale, engine suggestion. Hi everyone, I'm Francesco, I'm a boy who lives in Italy. Unfortunately our 2.0 16V Expression from December 2000 has just broken, and we have to repair the engine (probably not broken pistons because the car was at idle, so it should be just the valves and the head), the auxiliary belt came off and broke the timing belt (the mechanic said it), but it's a long story, if you're interested I'll tell you whats'happened. Now we bought a small used second car (Fiat Panda Emotion 2004, like new! ), so I have the time to decide what to do. 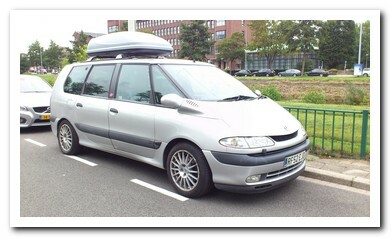 We really like the Espace, and I would like to have a Initiale Paris mk3 (with sunroof also!). The expression Espace has to do some repair, some bodywork, tires change, and other little things. I would repair it but I would like to have a Initiale Paris. Here's what I was thinking to do: buy the Initiale, fix the little problems that it may has got and sell my Espace for repair (as-is), because I already found a buyer. I'm looking for cars in Italy and in the western Europe (Germany, France etc). 2.2 dCi 16V: I heard about many many problems about the 2.2 dci, the performance aren't very good about what I read and the fuel consumption doesn't seems to be very good too (in comparison with the 2.0 16v petrol, plus it slower and the regular manteinance is more expensive (not considering the special manteinance), and we don't like diesel engines (too noisy and not so good to drive imo), and i heard about turbo and injectors problems (mainly on espace 4 but i think it's the same engine). So i think that mainly I have to choose between the 2 petrols, but I'd like to know your opinion. 2.0 16V: the same engine of our Espace, very good, snappy and not so fuel thirsty, pleasant to drive and it has a good sound, definetly we really liked it, perfect for what we need. 3.0 V6 24V: I never drived it, but it has to be a really good engine too, but too much fuel thristy, of course. My idea was to buy it only to convert it to LPG. And regarding to technical data it doesn't seems to be much better in performance than the 2.0. (we don't care much about max speed, and we felt the 2.0 powerful). The insurance would cost some more (but not too much), and the tax wouldn't cost much more (only with LPG, the tax is less). So mainly the problem is fuel consumption. We would buy the 3.0 only with the intention to convert it to LPG, i think the 2.0 with LPG wouldn't be enough powerful, but is it worth to buy the 3.0 and convert it to LPG than buying the 2.0 petrol? We usually don't do more than 15000 kilometres/year, or even less. Here in Italy are most common the 2.2 dci for sale, you can find the V6 Initiale easier than the 2.0 Initiale but I found a 2.0 16v for a good price and I'm interested to buy it. I'm looking for a Initiale only, that I would take care of. Our 2.0 never gave a problem in 200000 kilometres, and it was like new! I would like to know all your opinions. What do you think about the 2.2dci? Re: Buying an Espace mk3 Initiale, engine suggestion. Hi there, welcome to the forum. Yes the 2ltr 16v bends the valves when the belt goes. Just buy a second hand head. I'm in the UK where the Initiale was only sold with the V6 petrol. I have one in the garden waiting for an engine & gearbox. The gearbox went on it & I robbed the engine for another car. It is (was) a great car, a lot more powerful than the 2.0ltr & sometimes a little too fast! I have owned all versions of the mk3 except the 1.9 diesel (not available in the UK) By far the best is the v6. You come to terms with the poor fuel consumption My other car is a range Rover 4.6 petrol! V6, before fitting air bags in the rear springs. We took this car to the south of France then to Northern Germany one summer. The last two holidays abroad have been in two different 2.2dci's. Excellent on fuel economy & power which I need for a family of six. The last three cars have all been Grand Espace. All cars have their own problems, doesn't matter from what factory or badge. So you just have to go with what you like best & look after the servicing. If you want a dci & can't find one then buy a v6 & swap the interior into a dci or vice versa. If you go for the v6 then be sure to have a spare gearbox in the garage. I read through some of the thread on the renault forum. One thing to make note of is that these are all mk4 cars made by renault. Not the early car phase3 made by Matra! In my experience the early dci is a lot more reliable than the later car. Yes some have suffered the inlet manifold fault. But like I say you have to go on what you feel is best. You can replace the inlet manifold & gasket if you feel the need to. Maybe consider looking for an engine to overhaul. Crank bearings are cheap, even a turbo cartridge or repair kit is not expensive. ( I can repair a turbo in around 4 hrs, you don't need to take the engine out) It is only expensive when you put it into the hands of a Service Garage!!! 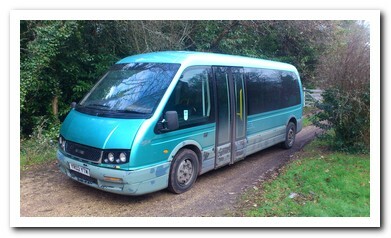 I have two boys that use the wheelchair so for traveling on holiday it made sense to buy the bus. First outing is in May, then summer holiday in Europe. I hope to have it converted to a motorhome by then. 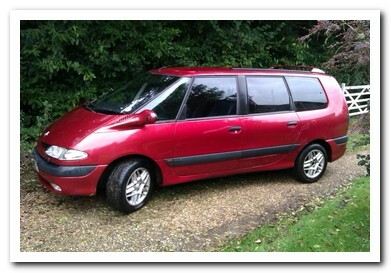 Repair the 2.0 16v, It's a very good engine for the Espace and is used in other Renaults. So part is no problem. If You can find a 1.9dti with sunroofs that can be a very good alternative. I have never seen one, the one I have is basic, no sunroofs. We have updated part of the interior from a non functional car. The V6 24v is lovely to drive but have some problems with the gear box (often electric here up north) If converted to LPG it could be a very good alternative. Try to find one without the tow bar, less wear on the automatic gearbox etc. Thank you all very much. I think the best engine for me is the 2.0 16v, so I'll probably repair my Espace. The mechanic is taking down the head in these days. In this case, i already found a 2.2dci Initiale for parts (it's in really bad exterior conditions and with broken engines), with leather interiors and so on (and the interiors are good, like the wheels!). I would like to swap the all interiors (including the climate control with their cpu, it's behind the steering wheel) and some electronic bits and i think this isn't a problem as I already have done it with another car and I disassembled and mounted many parts on the Espace. I would like to know if it's possible, disassembling the car, to swap the back seat rails from the donor espace to mine, so i can put its leather seats in mine or are they soldered with the car body? No problems with the front seats, rear seats will be mounted in rails, your car may not have rails just fixed points. You will have to file out the hole in the seat to get them to fit or fit the rail & carpet. The big job will be the front sunroof if you want the electric one. Good luck, let us know how you go. Or do what I did, stripped the seats down and changed the seat backs and base. I di that on my Privellage DCi (Had suede seats) when I brought a great waste of £330, of leather seats. They came out of a left hand drive car (mines right) and they were on rings, not rails. The only good news is that the head rests were an identical shape. I probably would of sold them off if not. I think I posted a tutorial in my blog, but if not, post a message to me and I'll see what I can do. In all honestly, they wre a piece of pee to change except the front passengers and drivers. Both of them have side airbags on my model, the leather seats didn't have them. As for the V6 24V L7X engines, once yopu drive one, you'd want to keep it, they are very nice to drive. Just makje sure you have a few grand in the bank incase the gearbox goes pop, bang, rattle, ting, "OH S****!". One big suggestion, change the oil. Mine drove a lot better with a gearbox oil change. EDIT much later: I found it! http://www.matrasport.dk/forum/index.php?action=blog;blog=35;entry=2786 It was a sort of tutorial.